I loved the Electric Company. Hey You Guys! I wasn't the best student. I studied and always did my homework, however school was forever a struggle for me. In first grade, my teacher instructed my mom to have me tune into The Electric Company. The teacher believed it would help improve my grades. 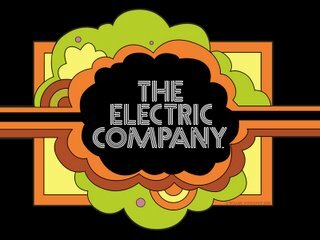 Although I did enjoy watching The Electric Company on PBS throughout my younger years, I'm not sure if it had any positive impact on my grades. I loved the music, the interesting characters and the lessons behind it all. It's crazy to look back now and realize what an incredible cast made up The Electric Company! The talent ranged from Gene Wilder to Bill Cosby to Morgan Freeman. WOW! At age 6, I had no idea. Check out these video clips to get a better idea of what the show was like back in the day. A few weeks ago, my coworker confessed that there's a particular Christmas commercial from 1986 that actually makes her shed a tear. 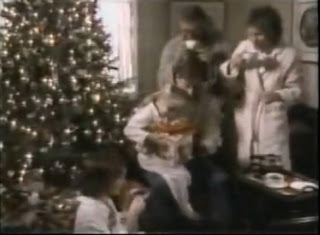 She said whenever she saw this Folger's Coffee commercial, she always knew Christmas was near. The commercial features a handsome son named Peter who comes home from college for the holiday break. He's greeted by his little sister who calls out the famous line, "Peeeeeter!" He quietly whisks her into the kitchen and begins to brew a delicious pot of Folger's Coffee to surprise his sleeping family. The home is beautifully decorated. The snow is falling, and it's just picture perfect. Peter is shown walking in with a stack of wrapped Christmas gifts for his family. They are all reunited and destined for a lovely holiday together. Folger's tried to recreate the Peter magic a few years back and modernized it, but it just wasn't as good as the original. Although I remember the Folger's commercial, one of my very first favorite holiday commercials is for McDonald's gift certificates and features Corey Feldman as a toddler. He's so adorable, you just have to see this. It is from 1977.
famous since the late '80s. 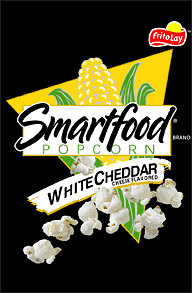 Smartfood brand white cheddar popcorn was born in 1985. Frito Lay didn't buy the brand and make it famous until about 1989. Lately, I've been packing small 100 calorie bags of the delicious cheddar popcorn with my lunches. It's not too high in fat and is under 10 grams of carbs. Sure, it's not the healthiest snack, but it could be worse. Smartfood always brings me back to my high school and college years. I loved the combination of salty, cheesy Smartfood and a chilled Snapple iced tea. There's something nostalgic to me about munching on the stuff today and it's just a good as I remember. Max Headroom was huge between 1986-1988. I've been working on a freelance project involving cable television installation. The entire topic is completely foreign to me as I've only written copy for ad agencies, teen magazines, kid's books, city guides and pharmaceutical websites. The other day, I came across the word, "max headroom" and of course my mind began to wander back to the '80s. You know me, it only takes a word to bring me back to the good ole days ... Sadly the other freelancers are much younger than me and can't really share my love of the '80s. My question to you dear readers is, remember Max Headroom? 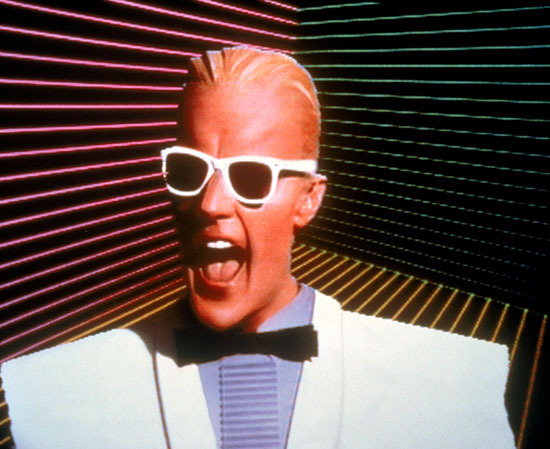 We first met Max Headroom, voiced by Canadian actor Matt Frewer, in about 1986. Max was a sarcastic, futuristic, yet retro looking animated handsome character. Max Headroom's voice was sometimes distorted and he often stuttered. He was featured in the Art of Noise video for "Paranoimia" and was the spokesperson for New Coke during their "Catch the Wave" commercials. There was a short-lived Max Headroom TV series and he appeared on MTV, the 1988 Winter Olympics and more. Max truly became an icon between 1986-1988, landing on the cover of magazines such as Mad, Newsweek and People. Deb Shops ruled in the '80s. I was a true mall girl throughout my grammar and junior high school years. What else would a girl growing up on Long Island do when not at the beach? Way before we were brand conscience with our Esprit, Benetton and E.G. Smith brand slouch socks, we hit the Deb Shop every weekend. We girls loved shopping at Deb's and spending our allowance on long, baggy bright "jam" style shorts and accessories such as plastic pearls, Madonna gloves, neon gummy bracelets and more. I was surprised to see that Deb Shops started way back in 1932 and are still thriving, check out their website at Deb Shop. 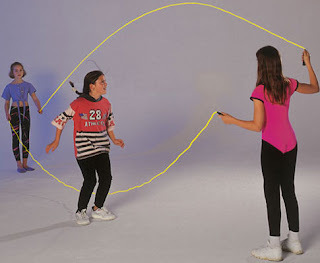 I loved Double Dutch style jump rope in the1980s. When I was in grammar school, I loved jumping rope at lunch time. We girls would gather together and work off our lunch jumping rope together. Back then it was awesome, today I'd die if I had to jump rope after lunch. I remember loving Double Dutch. Double Dutch was a game we loved to play in the school yard with two jump ropes going in different directions, which seemed very confusing. One or more girls would skip over the ropes. It was so much fun. Anyone remember jumping rope in grammar school? 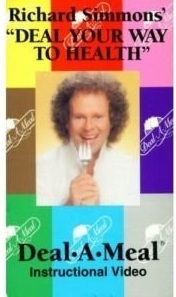 In the mid to late 1980s, weight loss guru Richard Simmons began touting a new diet program called Deal-A-Meal. Deal-A-Meal was only available through TV infomercials and commercials and consisted of various cards to help dieters track the types of food they ate throughout the day. Similar to Weight Watchers, Deal-A-Meal didn't seem gimmicky and didn't promote pills or shakes. Richard Simmons always seems so genuine. I know he's comical, but there's something endearing about his upbeat and warm personality. Does anyone remember this commercial for Deal-A-Meal? advertised Bounty as the Quicker Picker Upper! There are a handful of commercials and slogans I loved growing up from "Calgon, take me away" to the Better Cheddars jingle. Oh, and who could forget, "A pizza, with nuttin?" Well, last night I joked that my husband spent the big bucks on Bounty, the Quicker Picker Upper paper towels instead of the cheap store brand I typically buy. Of course, the first thing I thought of when I realized he bought Bounty, was Rosie. Back in the '70s and '80s the redheaded character actress, Nancy Walker (from Rhoda) perfectly portrayed a sassy diner waitress. Constantly cleaning up her clumsy customer's mishaps with Bounty, the Quicker Picker Upper, Rosie truly convinced America that Bounty got the job done right. Back in the days, Tang was known as the orange breakfast drink of choice for the astronauts. NASA served the space travelers Tang Instant Breakfast Drink because the space shuttle water was so nasty, Tang helped camouflage the taste. Tang was another one of those drinks you never found in our home -- it was on that list of banned foods such as fun sugar cereal, Shake 'n Bake and Kool-Aid. My mom had a thing about certain packaged foods. I suddenly have an urge to pick up a canister of this amazing citrus sweetness, yet feel as if I haven't seen it lately. I remember trying it once at a friend's house way back in kindergarten. I loved it. It was way better than ordinary orange juice. Even Mrs. Brady thinks so. Check out one of many Tang commercials featuring Florence Henderson. Like most kids, I loved Play-Doh and all of the fun Play-Doh sets such as this one, my personal favorite, the Mop Top Barber Shop. As you cranked the chair, the hair would grow on the Play-Doh characters. How cool is that? I think they still make this. Check out this vintage commercial for the Play-Doh Mop Top Barber Shop. Does anyone remember the 1980s sitcom Bosom Buddies? I loved this show and I loved that Billy Joel's "My Life" (though performed by someone else) was used as the theme song. 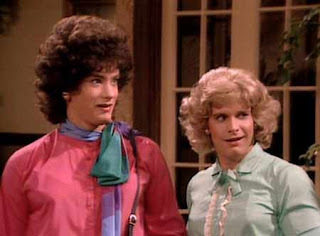 Bosom Buddies starred Tom Hanks (before he was really famous) and the adorable Peter Scolari in drag. The boys had to dress up as women in order to live in a cheap affordable apartment in New York City. The concept was zany and unbelievable and the ABC show only survived for two years. 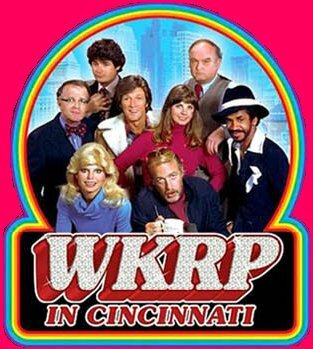 Sadly I haven't seen it in recent reruns, but wish The Hub would bring it back.